I've been several ideas for climbing, but no ideas on climbing through windows. (Correct me if I am wrong). 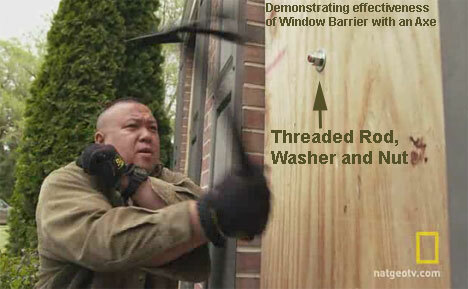 Not only should you be able to climb through reachable windows, but what about the ability to break or tear down fortification someone has created like planks over windows to get into someones home. Or if this would make it too easy to raid people (for those who want to raid, or worried of being raided) ideas on how you can secure a base; but make it fair for raiders if you disagree. I would like the abilty to climb through windows, maybe they could have an action where it pulls you up to the windowsil. Then you would just have to crouch then crawl through the window. It doesn't even have to have an animation, a person looking at someone climbing up to a window would see someone just lift then move forward a bit, it's wouldn't be very realistic looking but I think it would be easier to implement then to actually show the player scramble up to the windowsil. I wouldn't mind giving people more options to enter a building, I have created a couple trap ideas for just such an occasion like The Antoinette. I would assume that they will allow people to remove fortifications but I hope that if they do it's hard, you should have to really work at breaking into a fortified building. Prehaps stronger fortifications would actually need more then one person to remove it, like needing three people with crowbar's to pry open a heavilly fortified door. Say they make it where you need a certain number of people or items to remove something depending on the level of fortification...So would this be going of the assumption that we can make better fortifications such as wood planks vs metal bars on windows? each needing a different set to break them? It would depend on the fortificaton, in your hinge thread I suggested a way to brace a door with a smooth head bolt and a large piece of wood. It would be pretty hard to pry the door open with a lenghwise piece of wood bolted to the door and placed across the frame. The same thing could be done with a smooth head bolt and a compressed plywood board, with the anchor in the inside the plywood could snugly fit in the window frame so it would be really hard to get levrage on it. I got the idea from a guy on doomsday preppers, but I think a smooth head bolt would make it harder to break into. So you should be able to craft and find various things to increase the defenses of your door's and windows, another idea I had suggested as a fortification that could be moded into a trap were thick metal chains bolted across the inside frame of your window. I think that if you could get the chains taut enough it would be pretty hard to get past them. Very interesting and well out thoughts, I like it. There have been several climbing threads, I can link several although none of them specifically state climbing through windows, its kind of implied that if they are going to add climbing that you will be able to climb most things that are waist high, and hopefully even things within arms reach and being able to pull yourself up. I don't think we needed another thread about it, but the destroying fortifications part is probably a must, and will most likely be added. If not it will there will be some definite issues such as trapping players, invincible supple caches, and in worst cases blocking off a whole city. Thanks for posting and Welcome to Forums. you should be able to climb on top of things, like on top of vehicles or low hanging roofs. I think I saw a ladder in one video but I don't know if it was moveable it was the wooden triangular one in the wooden log building i think it was one of psi's vid's. There is also the hunting stand you can see in one of the you tuber's vids, so I bet we will have objects to get onto low roofs. On the cars I am assuming you are talking about vehicles larger then a small car or jeep like the RV, I would like that as well. After looking at the RV and seeing the ladder on the back I was hoping we could climb on top. On small veh's I am assuming we can jump so we might already be able to do that, if not I hope we can as well. Yeah thats what I thought you meant I was just talking about the RV's ladder, being able to physically pull yourself up on to the roof of a car would be cool. It would be advantagious versus zombies but would really put you out in the open agisnt players. Yeah I was thinking if you needed to get to a higher place to snipe a zombie or something. People will probably come up with more uses over time. And tearing these so mentioned planks, I'm sure would take a tool, right? This would be great for midnight sneak thefts! I think this is a pretty good idea. Maybe add a bit of a risk to it and leave some glass shards around the window so you would have to brush them off before crawling inside otherwise you'd cut yourself. I would really like this also. PZ allows you to try to open a window that is closed, sometimes it works and you open the window and then can jump through it... this works nice because you can get into the building, then turn around and close the window again, which keeps you kind of safe doing a quick loot, zombies just can't crawl through the windows behind you. If the window is locked and you simply can't open it, you can use a melee weapon and smash the window, then crawl through it. Another thing to think about is closing curtains or using sheets/blankets (could be used to makes rags/bandages also??) and use them over the windows to keep zombies/players from seeing light from inside your building, and/or just them seeing inside. Maybe make certain windows lockable, similar to doors. I think the main issue with having a "window structure" like window frame/glass etc is the action of zeds breaking them and coming through. Could be very heavy performance wise. Although we've not really ventured into it just yet. 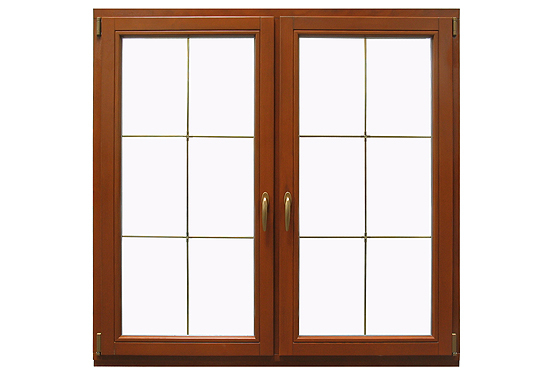 I really like the idea of having lockable windows, with breakable glass. Being able to get through one and turn around to lock it is awesome. Boarding up over the window itself would be really cool. Something we will test out and work on soon. Awesome, yeah I could definitely see where some of that could be intensive to make work correctly in the engine. Regardless, do what you can do, I am impressed already. But yeah, locking windows, covering them, etc. would be amazing. Yeah, I mean, zombies aren't very smart or nimble to be honest. 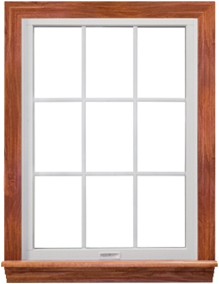 Simply have a few types of framed windows in buildings, just general average style windows that you'd see everywhere... Some buildings could simply have the large pain windows broken out (no frame, just a little broken glass left, non-interactive) where you could jump straight through them. Then some others where the frame was left but the glass is gone also... just the function of opening and closing the window frames, and being able to lock them would be amazing... with or without actual panes of glass intact would be alright by me IMO. Having the glass already broken in most of the windows keeps zombies from breaking them in game (having to interact with the window), may save on the load the game/server will have to deal with.